TLDR: If you’re here to find out how to get the highly-coveted Southwest Companion Pass, click this link to apply for the Southwest Rapid Rewards credit card. If you’ve been following along on Instagram, you know that we’ve walked through some major life changes recently. 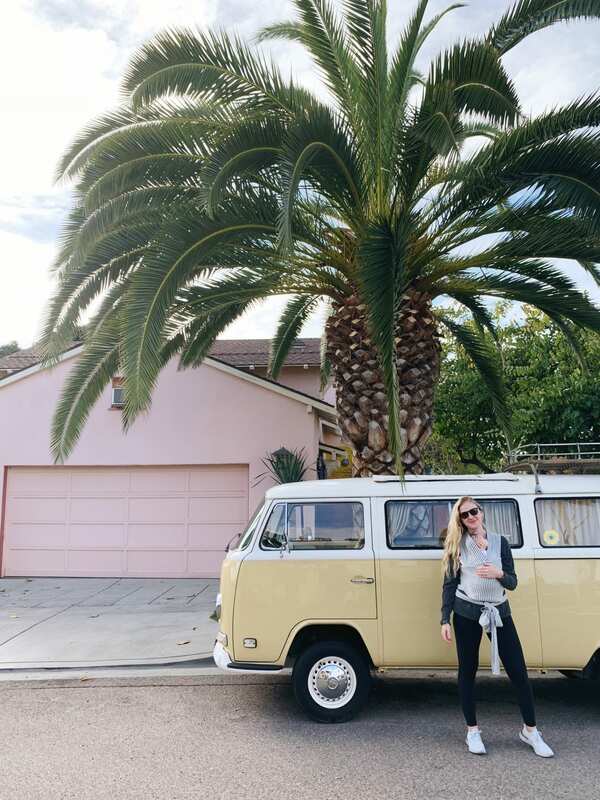 We bought a house, moved to San Diego, and had our first child–all in a matter of a few short months. On top of everything, I also started a new job! It’s no surprise that we’ve had to reign in our travel frenzy. Now that we are through the changes, we’re having to cut back on our spending. We no longer fall into the DINK category: Double Income, No Kids. We are now squarely in the SIOK: Single Income, One Kid. So that means we are “balling on a budget,” as the kids say (fully embracing my new dad joke life, look out world). Travel has been a huge part of our marriage and life together thus far. Not only has it been incredible to see the world, but it really has brought us closer together and taught us how to be a team. Ruth and I are committed to continuing to travel as our family grows, even if that looks a little different from here on out. We think it’s really important for our kids to see the world, experience other cultures, and have the teachable and growing moments that come from travel. But travel still costs money. If we weren’t already hustling our way to travel as cost effectively as we could before, you can bet we don’t have another choice now. We’ve written about our love for travel credit cards before and how to really get the most bang for your buck from them. We have paid for NUMEROUS flights and hotel nights with reward points. This is one of our biggest tips for paying for travel (read more tips here). The best travel card out there right now is the Southwest Rapid Rewards card. Not only do you get 30,000 bonus points when you sign up and spend $4,000 in the first three months, you also get a Companion Pass from Southwest. Here’s why this is a big deal: it’s basically an unlimited 2-for-1 deal with Southwest. Yes, you heard that right. Anytime you fly Southwest in 2019, you can add a ticket for FREE for your designated travel companion. This is honestly one of the best travel hacks out there, and we should have figured out how to get it sooner. We couldn’t miss this opportunity, and neither should you. Apply in minutes through this link. The Companion Pass bonus is for a limited time only, available until February 11th! We’re pumped for this because we were targeting some more domestic travel in 2019. The Southwest Companion Pass will single handedly cover half of our airfare. (It’s also fun that Charlotte is free to fly until she turns two, and you can bet we will be taking full advantage). Also, VERY important to note that Southwest is opening up flights to Hawaii this year. That feels like reason enough, right? Needless to say, we are very busy scheming about how we are going to use the Southwest Companion Pass for our travel as much as possible in 2019. Most sane folks don’t enjoy traveling with kids under the age of 2, that’s why they are free. what’s also free is the bazillion headaches and eye rolls you induce every time your kid wails on the plane. Have fun traveling. Lastly, sounds like with your new job, unless Tyler is jobless, you are double-income – just like everybody else in this country to survive. We travelled every year with our kids since birth. Enjoy. It’s a different experience, but even more enjoyable to see new experiences through your child’s eyes. And yes, one needs to work to accumulate assets and avoid being a strain on the system. Makers and takers – which would you rather be?